Description - If you want an oil with a lovely floral fragrance that is excellent for skin care as well as lifting your mood, neroli oil is a great choice. 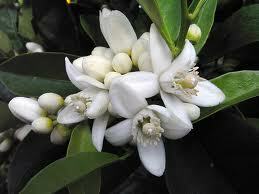 Neroli oil is derived from bitter orange trees, and it is extracted through a process of water distillation from the fragile blossoms. Known for its soothing and relaxing properties, neroli oil is perfect for use as a skin care oil for dry, sensitive or mature skin, and can also diminish stretch marks and scars. It helps improve blood circulation, relieves tension, stress, and anxiety and is generally mood elevating. If you want to try blending neroli with other oils, we suggest trying other citrus oils such as lemon, lime, orange, and tangerine, as well as rose, ylang ylang and jasmine.